82% of US businesses will be involved in some type of litigation1. Because of this, it’s easy to understand why the value of email archiving among businesses has steadily increased to the point where it is not a question of “if” you will archive, but “how”. Office 365 natively provides some archiving capabilities within most of its plans, however, to help safeguard archived data, facilitate compliance and speed the process of eDiscovery, Office 365 requires supplemental email archiving. Office 365 from Intermedia enhanced with Email Archiving helps you go beyond Office 365’s standard features to create a protected solution with compliant email retention and security. This helps ensure your email is securely archived and easily accessible anytime, from anywhere. Intermedia’s Email Archiving ensures that the value of your company’s intellectual property is maintained in perpetuity. 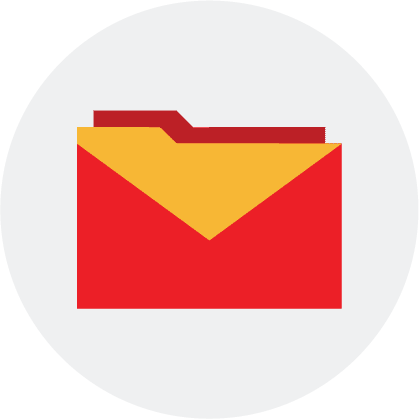 By capturing every email as it’s sent or received, it ensures a 100% accurate repository, even if an employee deletes an individual email or an entire PST file. It also gives employees the power to recover emails that they may have accidentally lost. Osterman Research estimates that 35% of the total cost of litigation is represented by eDiscovery2. But with Intermedia’s Email Archiving, you can cut your risk and cut the costs of complying with discovery requests. Not only are your emails preserved and protected for the lifetime of your business, but it’s simple to recover and produce emails to comply with legal requests or audits. Intermedia’s Email Archiving automatically captures 100% of your inbound and outbound emails, offering security, permanence and auditability that meets stringent compliance guidelines across a variety of industries and government agencies. Our solutions help you comply with regulations including GDPR, FRCP, SEC, GLBA, HITECH, SOX, and more. 1. “2015 Litigation Trends Annual Survey”, Norton Rose Fulbright, 2015. 2. Osterman Research, The Growing Importance of E-Discovery on Your Business. Almost everyone is either required by law to archive or needs to do it for business and legal reasons. A worry-free, reliable, and affordable cloud solution from Intermedia is an excellent choice. Empower your workforce with the full Microsoft® Office 365® suite enhanced by Intermedia to meet the specific needs of your business.